Since November, the council has objected to two large developments in the region – including the Paul’s Hill development near Knockando which could have up to seven new turbines, six of which more than 500ft tall, and Clash Gour, which could have up to 48 turbines ranging between 425ft and 575ft about seven miles south of Forres. Public inquiries will now be held about both developments before a decision is made about whether they can be built. 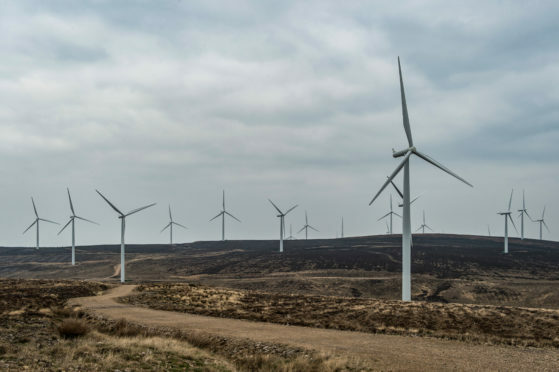 Campaign groups have raised concerns about the number of turbines proposed for the region after it was revealed more than half the applications currently under consideration by the Scottish Government are in the north and north-east. Now Moray MSP Richard Lochhead is preparing to meet Energy Secretary Paul Wheelhouse to discuss planning concerns about turbines. He said: “Whilst I’m a big supporter or renewables including onshore wind, it’s important that the planning process takes account of both public opinion and cumulative impact in terms of visibility and the proximity of other projects. “I know that many people locally feel that there’s a tipping point that we must be careful to avoid in order to protect our landscapes. A Scottish Government spokesman said local views would be considered as part of the consideration processes for turbine developments. He said: “The energy consent unit currently has three wind farm applications under consideration in the Moray Council planning authority area – Rothes III extension, Clash Gour and Paul’s Hill II.